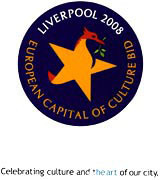 StudioTitanium has created the logo for Liverpool’s bid to become the 2008 European Capital of Culture, which launched last week. The logo will appear on everything from official literature to car stickers. Studio Titanium beat off 26 local design groups in a competition orchestrated by The Liverpool Culture company. The brief was to create a logo that brings together Liverpool, Europe and culture. The result is a dancing Liver bird emerging from a European star. 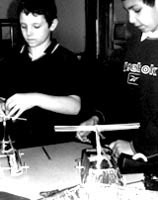 The winner of the bidding process will be announced in 2003 and will play host to a year long programme of events and activities.